It’s not the size or shape of a bourekas that counts; it’s how quickly you can eat three, right? Well, not anymore. 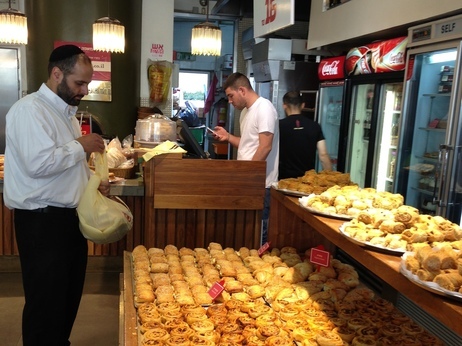 The Chief Rabbinate in Israel is summoning a major overhaul for these perfect flakey pastries that, in Israel, are sold in bakeries and gas stations alike. Under the new procedures, a parve pastry made of filo dough will be shaped as a closed triangle or spiral, while a dairy pastry will be circular or shaped like a “large finger.” Parve croissants or rugelach, on the other hand, will be baked as straight rectangle, while the dairy ones will be crescent-shaped.